Today I want to talk about my first step in my journey towards VCP. Today, marks the end of my first step. I have completed my first ever, Install Configure Manage (ICM) class, from Stanly Community College. I good friend of mine (@al_rasheed) from the #vCommunity recommended this course, post found here. The course was great, it did leave something to be desired, but for a complete noob like myself it did was it was designed to do. The course gave me a foundation to build my preparation blueprint. 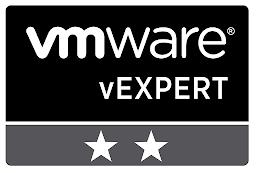 One thing to note that is of great importance, this course meets VMware's requirement. Now that Step 1. is out of the way, my next task is preparing for the foundations exam. Then, I have a date with destiny, slay my VCP6-DCV exam and become part of the professional fabric that makes the #vCommunity great!